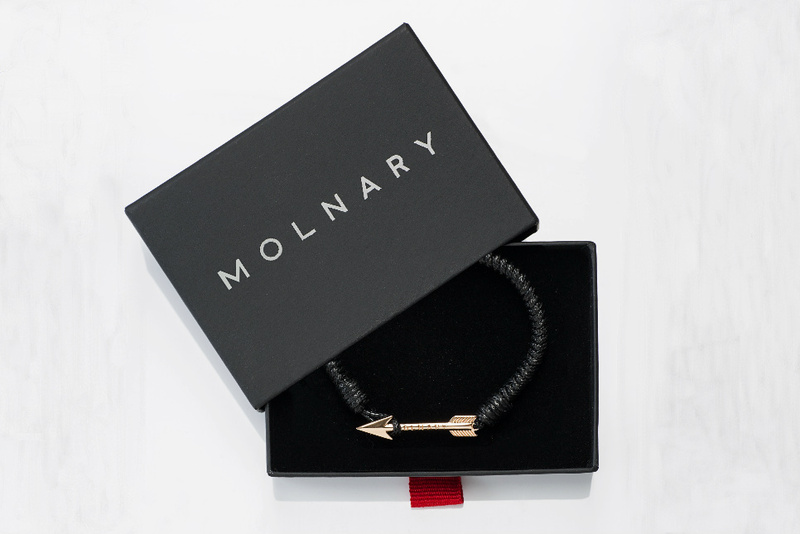 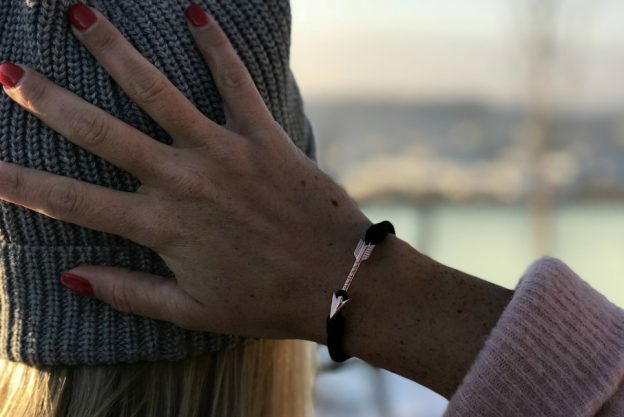 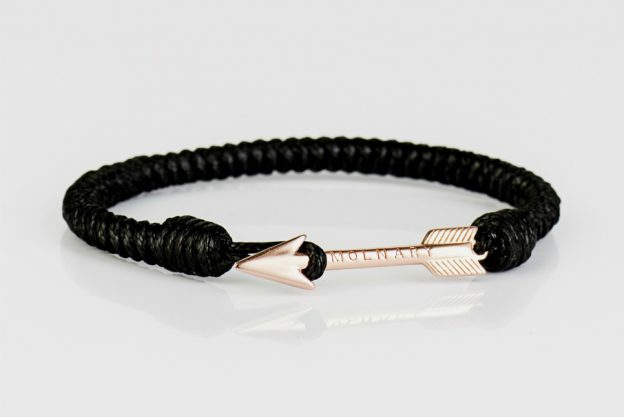 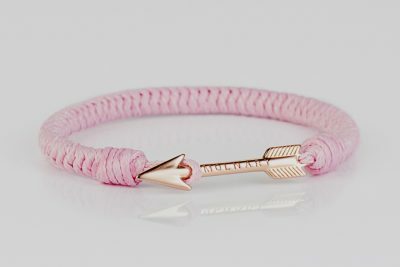 One of the latest designs in the Molnary family is a delicate combination of our slightly smaller sterling silver arrow dapped in rose gold, with a beautiful hand-woven black band. 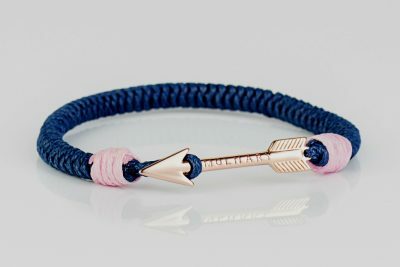 The bracelet exudes awareness and this color combination is perfectly correct. Like all our bracelets, the Petite Rosé Black is handmade to perfection, created to be worn for a lifetime. 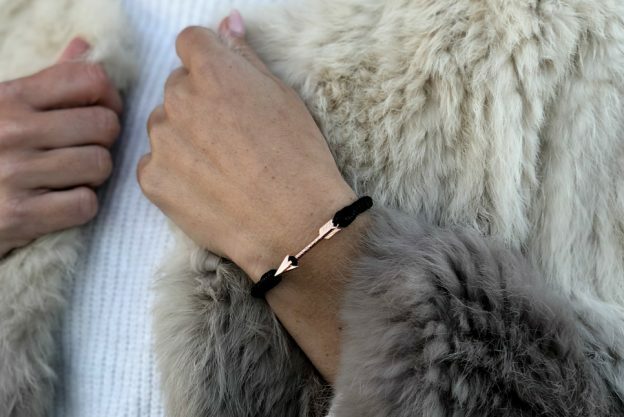 Treat yourself to the perfect accessory and spoil someone you love with a fabulous gift. 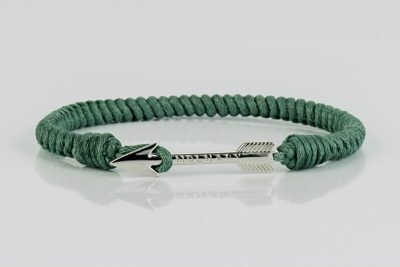 Me and my girlfriend have matching couple bracelet, love it.